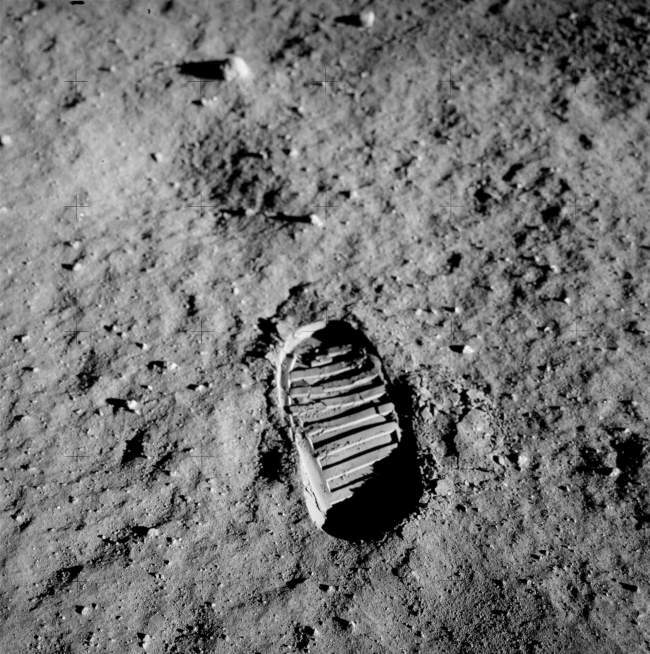 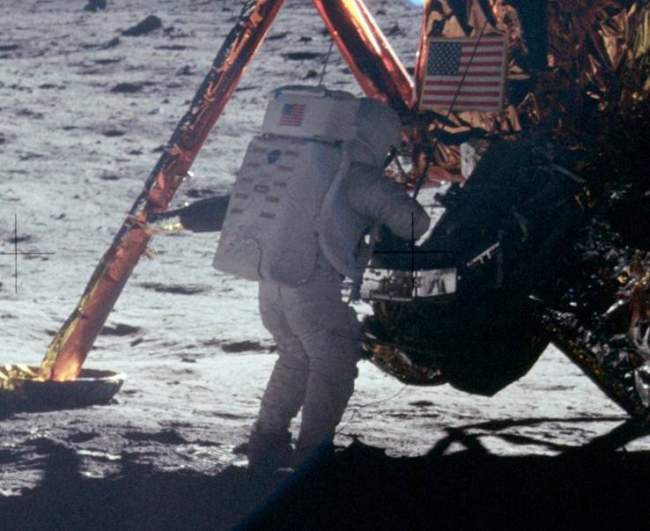 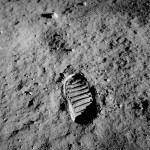 Neil Amrstrong, a US astronaut, was the first human to walk on the moon in July 20, 1969 in one of the greatest moments of mankind history. 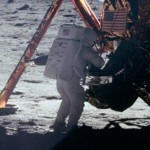 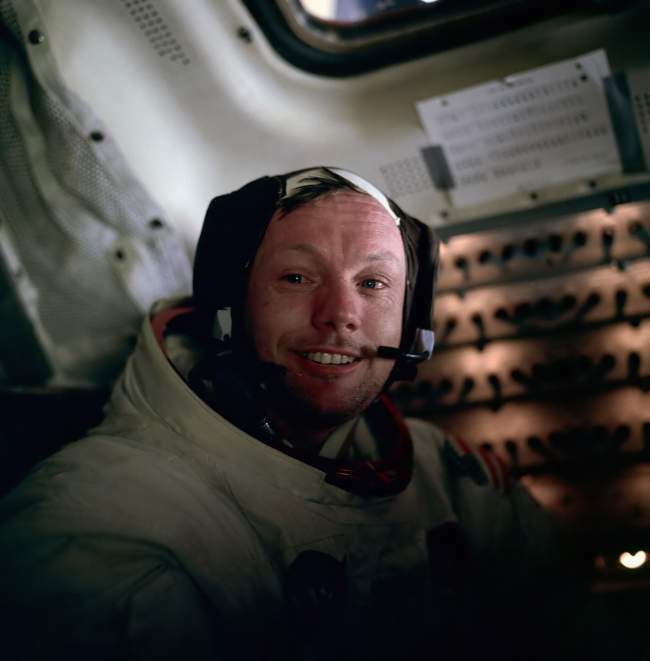 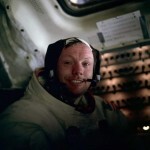 On August 25 Armstrong died at the age of 82 out of complications from blocked coronary arteries. 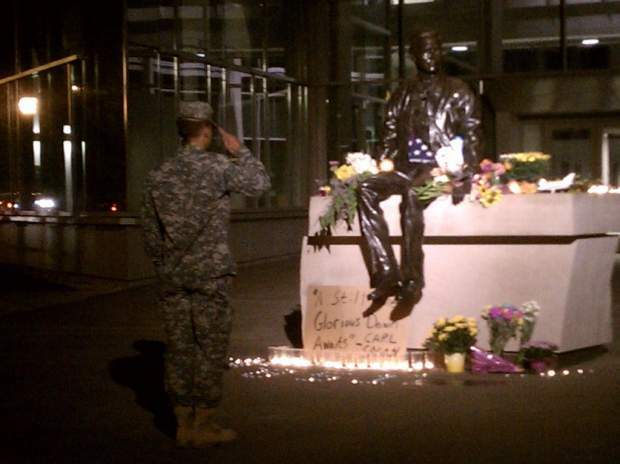 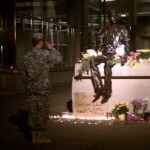 This pic shows a young American soldier that is standing at attention for more than 20 minutes in front of Neil Armstrong statue showing his respect to this great man.